It seems apt to introduce Winery Jerković (pronounce yer-koh-vich) on this day as the Croatia national football team takes on France at the 2018 FIFA World Cup Final in a few hours. Why is that? What do Winery Jerković and football have in common? First: Winery Jerković is located in Imotski, and that’s where striker Ante Rebić is originally from. 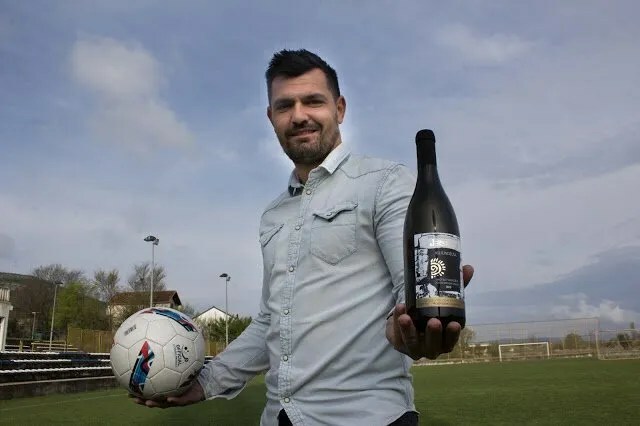 Second: Winemaker Mate Jerković was on the path to becoming a professional football player when his father Ivan Jerković passed away, and it was necessary for Mate to return to his hometown and take over the operations of the winery. Founded in 1998, Jerković winery works with two indigenous wine grapes, Kujundžuša and Rudežuša. The winery is located in the village of Runović, tucked between the Imotski Valley of Croatia and the Mračaj Hill of Bosnia-Herzegovina. This area has been known for growing wine grapes since the Ancient Roman period. Relating back to the context of football, Runović is home to two former captains of the Croatian and Yugoslavian national football teams in addition to a handful of other outstanding players. Kujundžuša occupies nearly 90 percent of the vineyard area in Imotski valley and 240 hectares in the country. However, there are only a few producers making varietal wine from it. Mate’s late father was known as the steward of this grape and helped to elevate the image of it. The Jerković Kujundžuša 2016 has a fresh and breezy nose, with definite aromas of lemon and pear. On the palate, the wine tastes more ripe with characteristics of stone fruit. The acidity is appropriate and the saline undertone makes this wine interesting. At 11.5 ABV, this easy-to-drink white delivers quite a lot of sensory merits. A crowd-pleaser that would go great with young cheese. Buy Jerković Kujundžuša 2016 from The Wine & More (EU-wide delivery). [1:50 to 5:22] Watch us taste this wine (2015 vintage) for the first time in February 2017. Note: Please forgive our mispronunciations in the videos below. We’ve learned to speak better Croatian now! Rudežuša is considered native to Imotski and also western Herzegovina. Called “Trnjak” in Herzegovina, it is typically planted alongside Blatina to promote pollination. Today, it has around 16 hectares of planting in Croatia. Rudežuša tends to produce high content of sugar and average acidity. Thanks to its high level of polyphenols, Rudežuša offers good weight and structure when vinified properly. There are only a few Croatian wine producers working with this variety, and the limited results have shown great promise. However, it seems the full potential of this grape is not understood yet. The Jerković Mračaj 2013 (“Mračaj” is the name of the vineyard location) has a bouquet marked by ripe dark fruit, raisin, desiccated herb, and cocoa powder—very Primitivo di Manduria-like. On the palate, it feels rather dense at first with supple tannins that hit the mid-plalate. 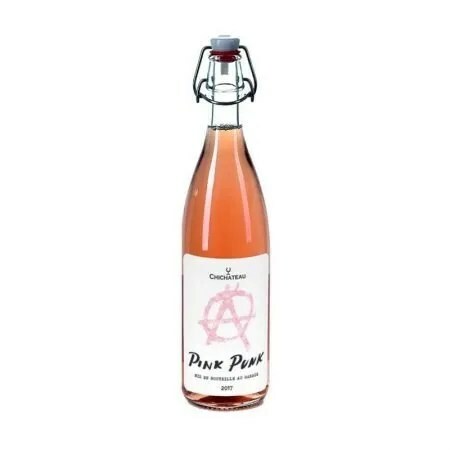 However, the taste takes a refreshing twist as it shows a good level of acidity and red fruit flavors. It would be hard to guess that this wine contains less than 12% alcohol. This is an enigma of a wine that would appeal to wine geeks. Pair this wine with a sweet and slightly greasy meat, perhaps a lamb shawarma. Buy Jerković Mračaj 2013 from The Wine and More (EU-wide delivery). [0:23 to 4:10] Watch us taste this wine (2012 vintage) for the first time in February 2017. Planning a trip to Croatia? Our visitor-friendly wine travel guidebook to Croatia is available on Amazon now!